Catholic Climate Covenant has created a video to go with their Beyond a Throwaway Culture Earth Day theme. The short video gives a brief explanation of the importance of protecting the planet and the problem of throwaway plastics. To watch the video, click here. Faith Climate Action Week, an initiative from Interfaith Power & Light, has created a nationwide prayer for the climate. You can add your name to a list to commit to participate and join together to pray for action on climate change. To add your name or download the prayer, click here. Catholic Climate Covenant has created their 2018 Earth Day with the theme of reducing waste. Titled Beyond a Throwaway Culture: Reduce Waste- Grow Community, the focus is on single-use disposable plastics and how they contribute to land and marine pollution. The program includes prayers, readings, actions, and a video. To read more or download the program, click here. Creation Justice Ministries has created a list of ways to celebrate Earth Day Sunday this year. They include educational ideas, prayer examples, leading by example, and celebrating in God’s creation by immersing yourself in it. To read more, click here. 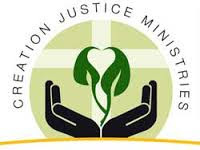 Creation Justice Ministries 2018 Earth Day theme is Sense of Place. They aim to educate and offer insight about living in harmony with local ecosystems and watersheds, sharing places with a diversity of peoples, and respecting the history of your place. To read more or download the Earth Day Sunday promotion toolkit, click here. 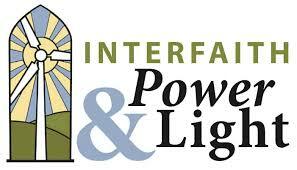 After President Trump announced that the United States would pull out of the Paris Climate Agreement, Interfaith Power & Light released a statement calling the action a sin. President of IPL, Reverend Sally Bingham, stated “I am not surprised, but I am profoundly disappointed that President Trump doesn’t have more compassion for the poorest people of the world who are suffering from the changing climate and more respect for 97% of the world’s climate scientists who have concluded without a doubt that humans are harming the climate. Abandoning the Paris Agreement is a sin.” To read more on this statement and what other board members of IPL stated, click here.